As of 12 a.m. Monday, Saskatchewan, along with other provinces that refused to impose their own emissions pricing, were slapped with the federal carbon tax. "Today would be a great day for our Prime Minister of Canada to stand up and say you know all of this carbon tax conversation and imposition? It's April Fools, we're going to pull back on that,” Premier Scott Moe said. 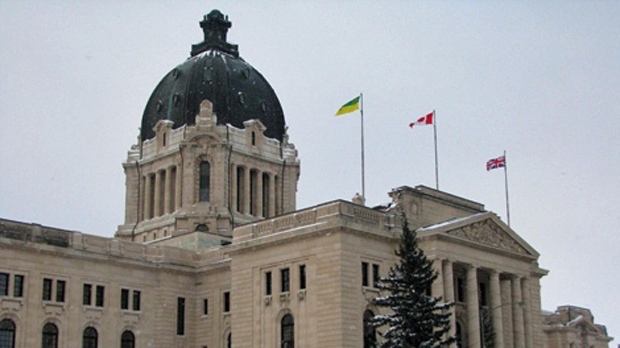 The federal government is also adding a GST tax on the carbon tax, but the provincial government says it won't add a provincial tax on top of the carbon tax, on SaskPower and SaskEnergy bills. According to the Trudeau government, 90 per cent of the revenue made from the carbon tax will be returned to people in Saskatchewan, Manitoba Ontario and New Brunswick. But some say the returns won't necessarily be fair to everyone. The association says people in industries like trucking or farming will pay more than someone who might work from home, but they will get the same rebate. Josh Campbell with Wascana Solar Co-operative installed solar panels on his home in March, and says the investment is already paying off. "We're producing more power at this house and we're contributing to the grid,” Campbell said. “We're not only taking care of our needs but we're producing more power, that’s satisfying." Campbell is a board member of Wascana Solar Co-operative. The grass roots organization was started by a group who wanted to make solar panels more affordable and accessible. Campbell has even installed a solar panel on the roof of his daughter's tree house, so they can watch a movie, emissions free. People who want solar panels can sign up, and twice a year the co-op orders a bulk amount of panels. "We saw a $67 thousand savings off the market share, so that's about $5 thousand each just by going in on this group buy," Campbell said. SaskPower is offering a 20 per cent rebate for customers who invest in solar panels. "You can get a bidirectional meter which means that the power you generate in your house can feed back into the grid,” Joel Cherry with SaskPower said. Brett Dolter is an assistance professor of economics at the University of Regina, and says with the carbon tax, it's worth investing in green technology, as the price of carbon is only going to increase. "From an economics point of view carbon tax is the best way to reduce emissions,” Dolter said. “It leads to people and businesses deciding on those actions that are going to give them a payback." The parents of celebrated Austrian climber David Lama said Friday that he had 'lived his dream,' as hopes he and two other top climbers survived an avalanche in the Canadian Rockies faded.